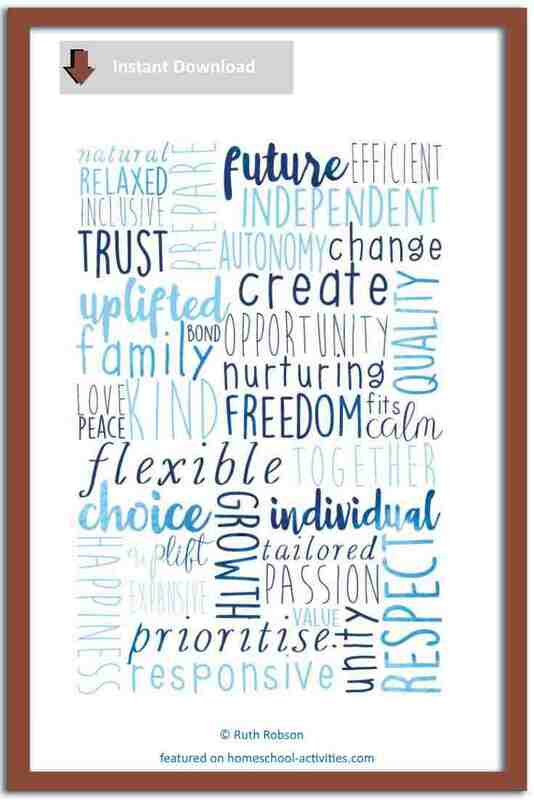 This beautiful Courageous Homeschooling poster will make your home feel happy, joyful and remind you why homeschooling is the best choice you ever made. "I made a poster with words to remind me why I choose to homeschool. I thought it would be nice to share it with you all." The posters Ruth has made fit perfectly with the highly successful free Courageous Homeschooling course which teaches the techniques to overcome fears and doubts and prove that you CAN DO THIS. 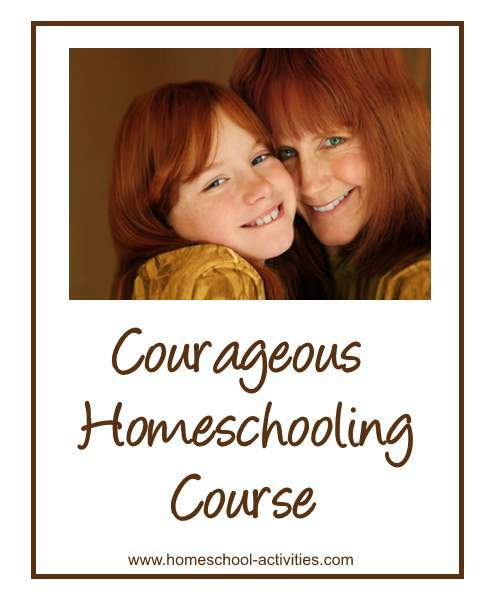 The Courageous Homeschooling Course takes you step-by-step through a planned program of 21 lessons lasting just 10 minutes a day which teach you how to banish your fears. The course has been taken by 740 homeschoolers, and one of the most popular lessons is to create a peaceful space in your home. This is going to be the special space just for you where you have all the things around you that make you feel good. And what better than to put up this wonderful Courageous Homeschooling poster to remind you why you started and give you the determination to carry on? 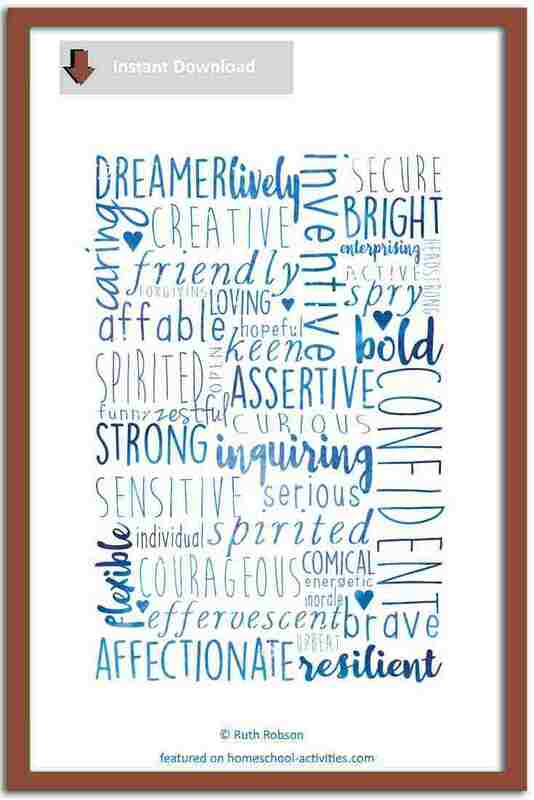 The Courageous Homeschooling poster contains a high quality image that looks fabulous printed and framed. It comes as a digital download so you get INSTANT access. Just print and frame. The image is A4 for ease of framing (portrait orientation). 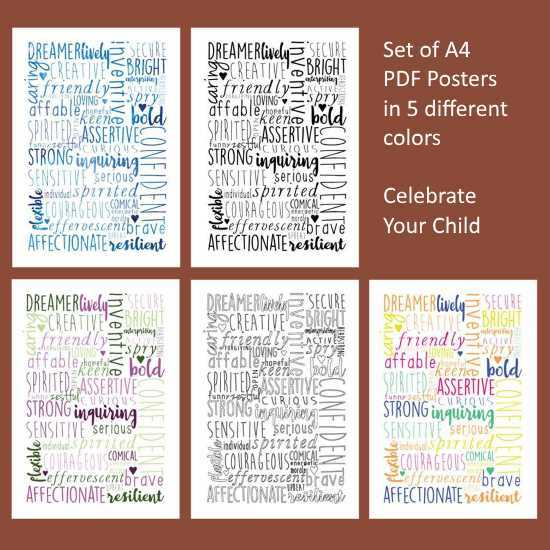 ♡ Set of A4 PDF posters in 5 different colors in a .zip file. The colors may print slightly different than it appears on your screen. NO PHYSICAL ITEM will be mailed to you. After purchasing you will be able to download and print immediately. You are looking at a listing for a DIGITAL PDF FILE that can be printed yourself at home or at your local print shop. 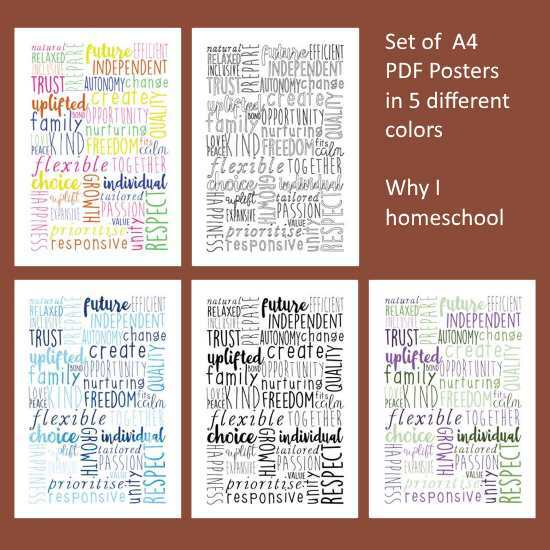 The Why I Homeschool poster works beautifully alongside the free 21 lesson Courageous Homeschooling course. 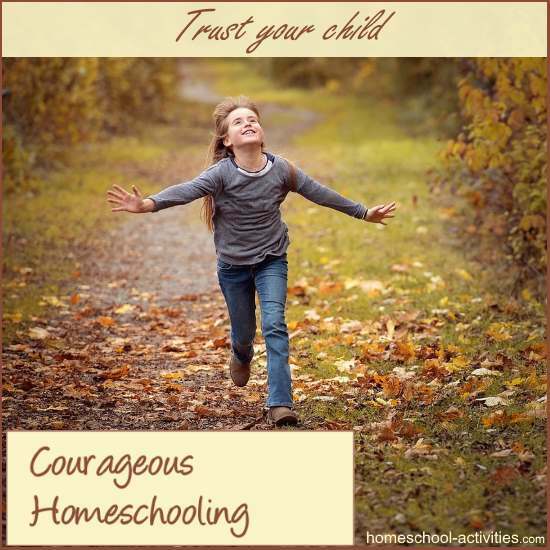 A vital technique you learn in the free Courageous Homeschooling Course is how to build your child's self-confidence. 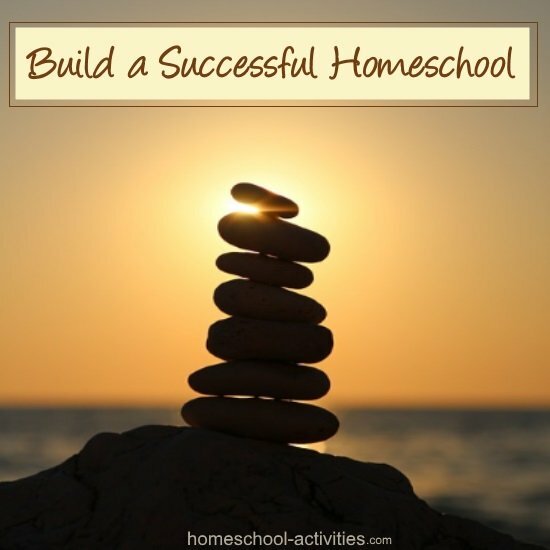 The course teaches you to believe in your own ability to homeschool - so wouldn't it be nice to share that lesson with your kids! And a wonderful way to get your child to value themselves is to put up this Courageous Homeschooling poster celebrating all your child's amazing talents and abilities. 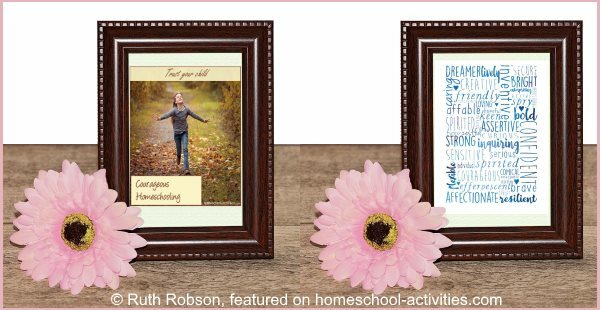 The Celebrate Your Child poster works beautifully alongside the free 21 lesson Courageous Homeschooling course. N.B. © All designs are copyrighted by Ruth Robson. Ruth uses her original designs for fabric, wallpaper, gift wrap as well as t-shirts and stickers - do check out Ruth's beautiful designs here. You can use your printable downloads for printing and displaying in home, office and business environments. Commercial reproduction, reuse or resale is not allowed. 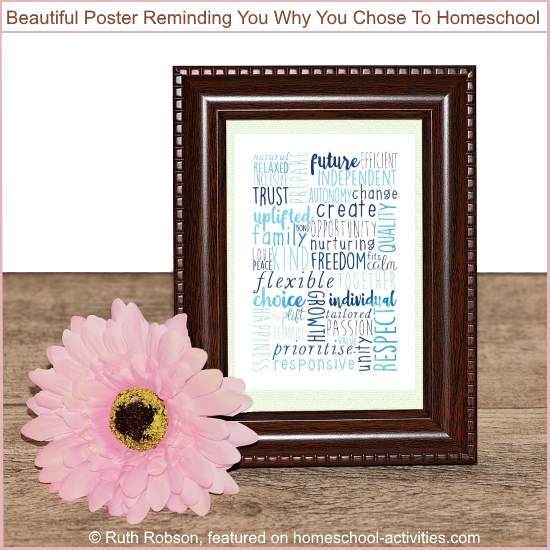 These Courageous Homeschooling posters will help you fill your home with joy. And that is an essential part of making homeschool succeed.